Both the Jet Excel add-in and the Jet Hub use the components of the Jet Service Tier. 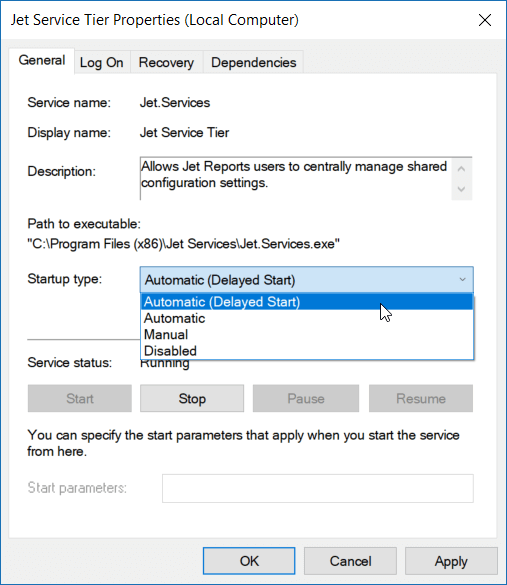 If you find that your server does not automatically re-start the Jet Service Tier following a reboot (e.g., after installing Windows Updates), here are some settings you can configure that may help. 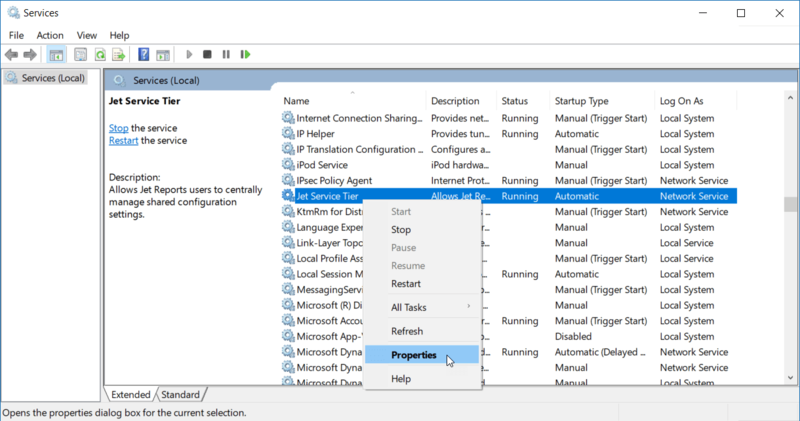 From the Windows Services snap-in, right-click on Jet Service Tier and select Properties from the menu. 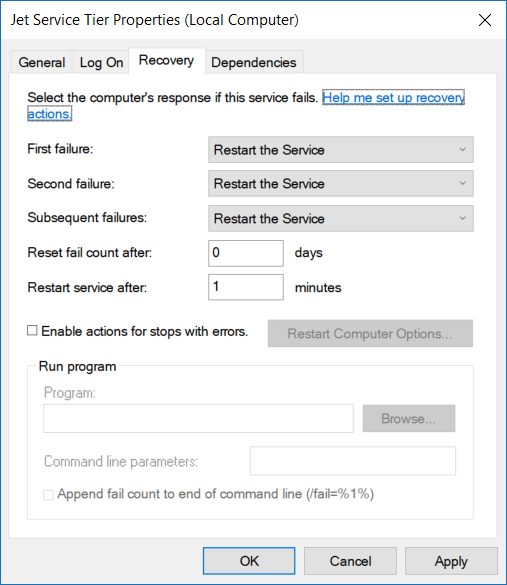 On the General tab, configure the Startup type for Automatic (Delayed Start).